More pedestrians are being killed on Virginia's roads, but safety strategies implemented at problem-prone areas are working according to a highway safety update presented to the National Capital Region Transportation Planning Board. More pedestrians are being killed on Virginia’s roads, but safety strategies implemented at problem-prone areas are working, according to a highway safety update presented to the National Capital Region Transportation Planning Board on Wednesday. Between 2015 and 2018, the number of people killed by cars rose in Virginia. 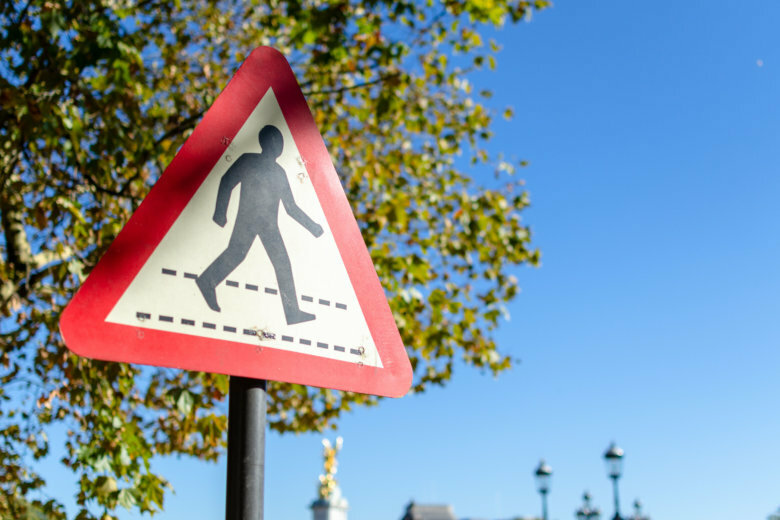 “From being about 10 percent of our (traffic) fatalities up to about 15 percent of our fatalities — for pedestrians,” said Stephen Read, Highway Safety Planning Manager at the Virginia Department of Transportation. Read said the numbers have grown from about 70 to 80 pedestrian fatalities a year to the now 120 to 150 a year range. Bicycle fatalities are fairly flat at about 10 percent of overall traffic fatalities. Safety programs are working well, though, Read told the board. Examining numbers of crashes three years before and three years after 318 safety projects were initiated since 2004 shows fatal crashes declined 67 percent and injury crashes were down 32 percent. Between 70 percent and 80 percent of Virginia’s fatal pedestrian crashes involve people trying to cross a road. Read said new traffic-control innovations are about creating forgiving environments so drivers have fair warning to expect walkers and cyclists. Read said more money will be dedicated to high-visibility crosswalk area markings and signage, rapid-flash beacons, bike lanes, paths and trails. Personal responsibility on the parts of walkers and drivers is needed, as well. “If you’re a driver, pay attention, look for pedestrians, don’t drink, wear your safety belt,” Council of Governments’ Transportation planner Jon Schermann said. D.C. and Maryland are scheduled to give their highway safety reports to the region’s Transportation Planning Board in coming months. The TPB already has initiated a study to identify factors that are driving negative safety trends locally and to identify what strategies might be most effective to turn trends around, Transportation Planning Director Kanti Srikanth said.